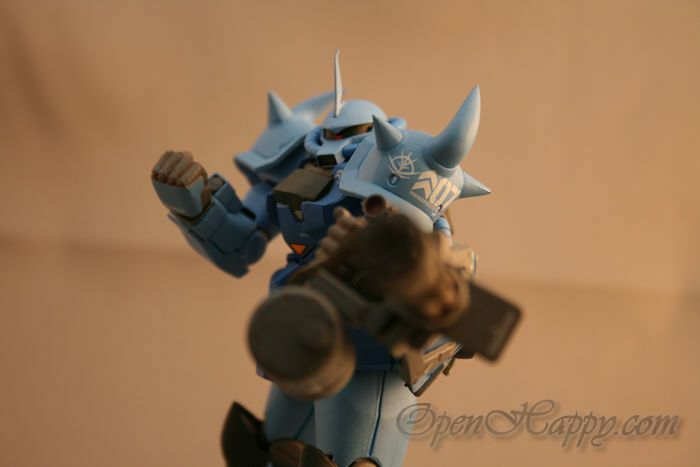 The MS-07B-3 was a further development of the MS-07B Gouf. 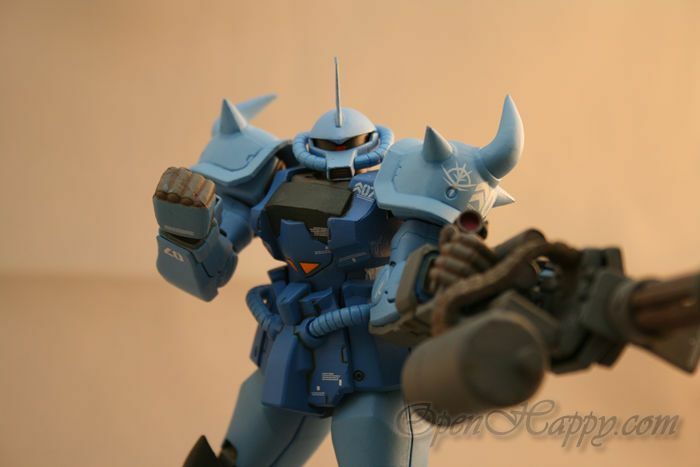 The Gouf Custom featured multiple changes to the MS-07B, including the elimination of the awkward five finger 75 mm vulcan guns, replacing it with a normal manipulator and a wrist mounted 3-barrel 35 mm Machinegun. 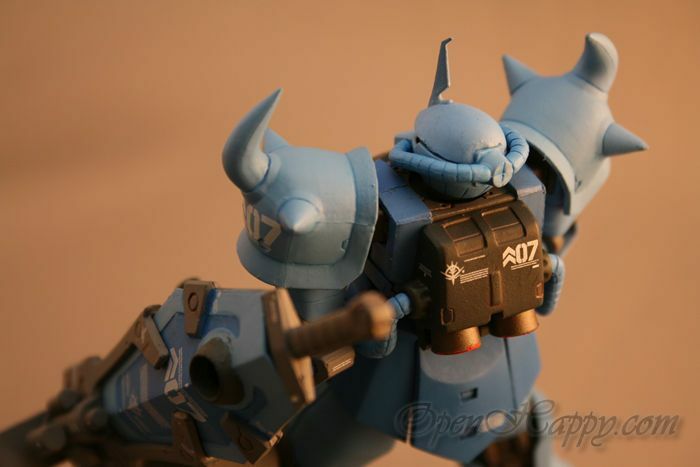 This is a 1:144 zeonography. 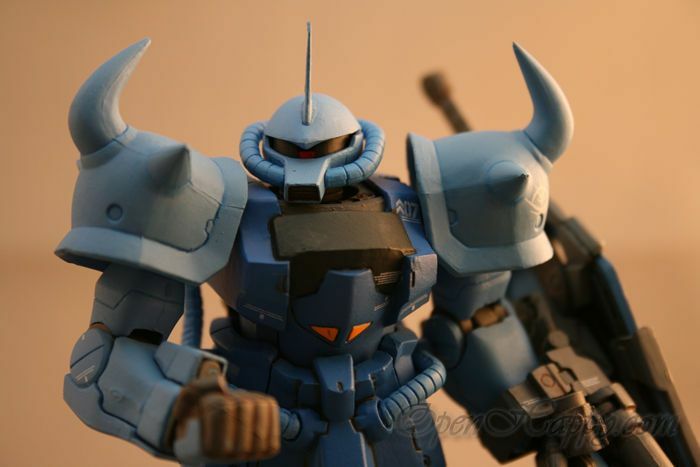 You can build it as either the MS-07B-3 Gouf Custom, or the MS-08TX Efreet. 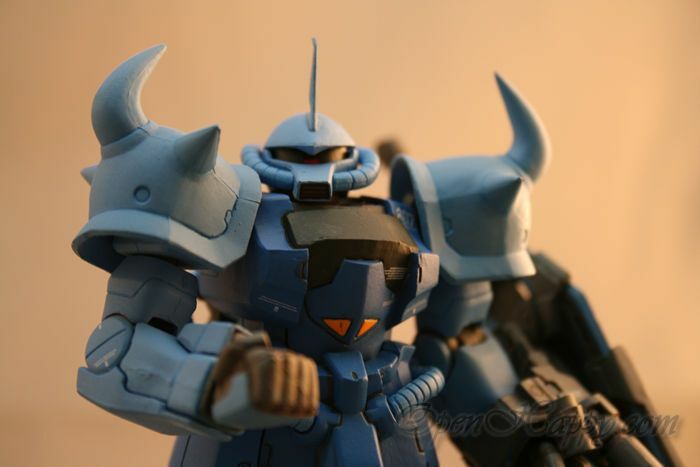 Being an "old" guy, I enjoy the Gouf Custom build more. 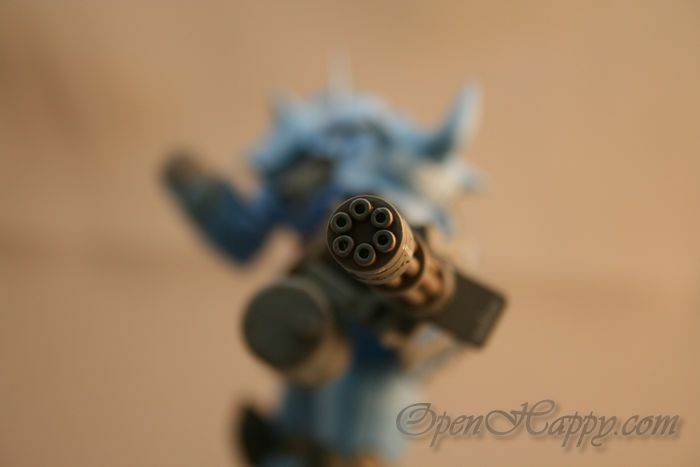 The coil-like heat rod is replaced with a magnetic grappler wire that connects and disables an enemy with an electric charge rather than damaging him or her. 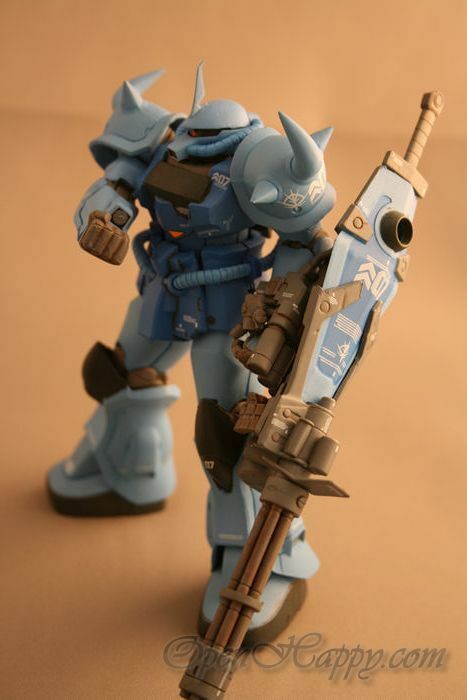 The shield is also capable of carrying a 75 mm vulcan gun, extremely enhancing the mobile suit's fire power. 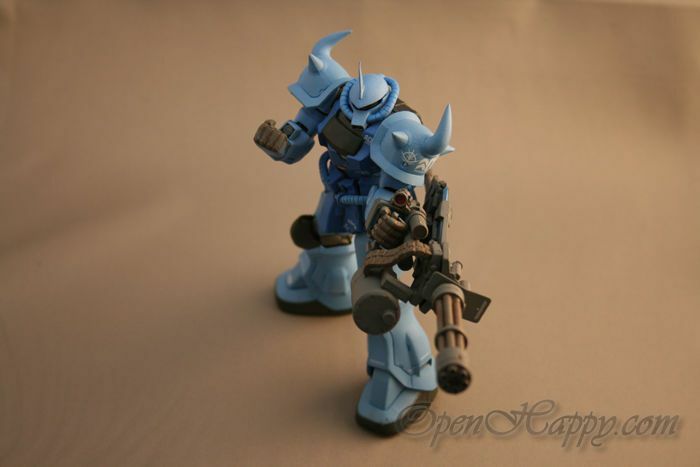 The capabilities are only changed slightly from the "B" model Gouf. 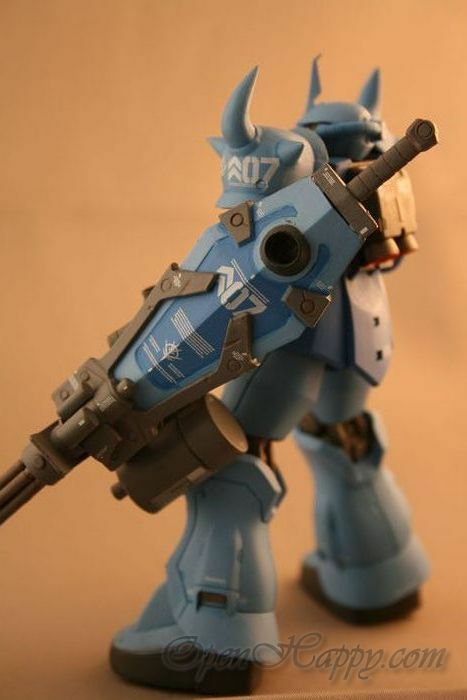 MS-07B was first shown on 08th MS Team. 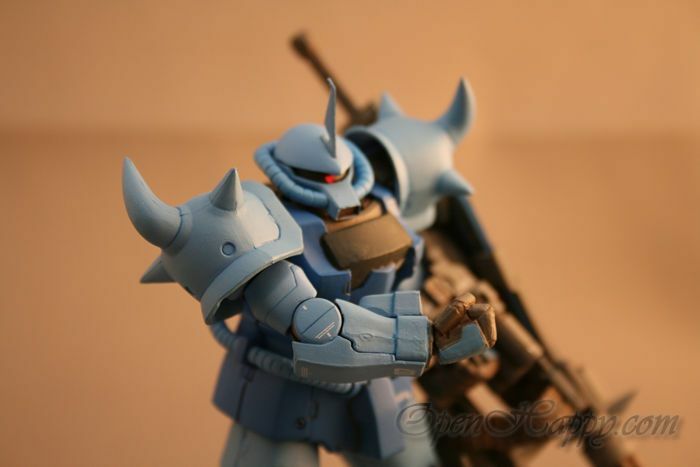 In the series, a Gouf Custom pilot, Norris Packard, easily destroys three RX-75D Guntanks and damages three RX-79(G) Ground-combat Gundams before he is killed in battle by Shiro Amada in his RX-79(G) Ez8 customized Ground Combat Gundam. 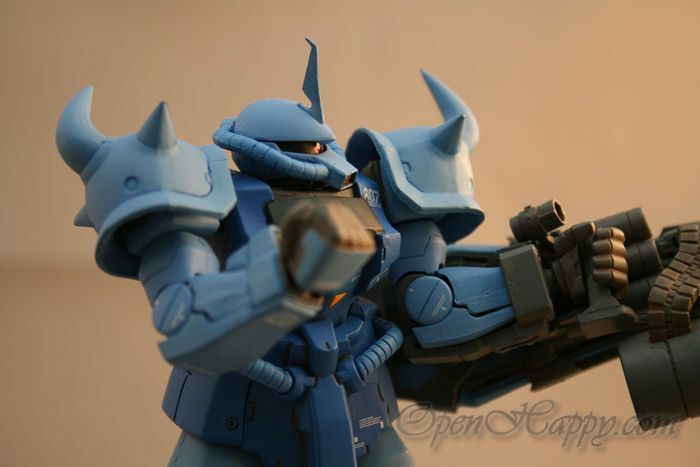 The general problem with the fix and zeonography series is that it does not give you the same posability as master grade or perfect grade. 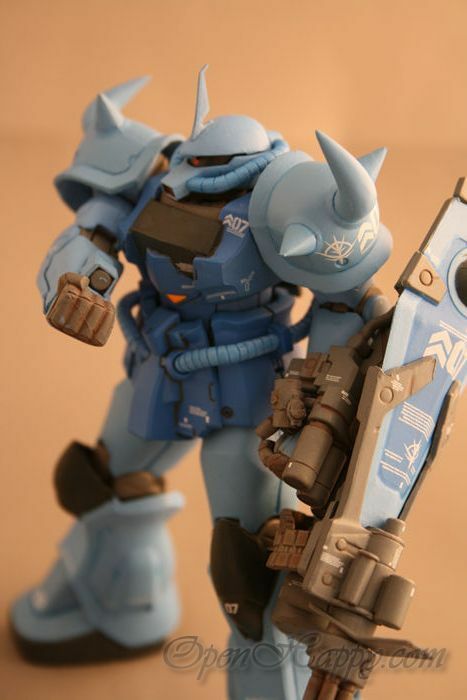 However, it comes standard with nice enough paint job for display.